Mark Klassen of Milwaukee and Lewis Koch of Madison both create artworks steeped in the politics and uncertainties of life after 9/11. Klassen is interested in the pervasiveness of protective and security measures in everyday life. His sterile, strangely disconcerting sculptures of ordinary objects--like fluorescent lights, road signs, or drapes--raise questions about the relationship between real existential needs and false feelings of security. In a very real sense, the most banal elements in our environment protect us--not from terrorism, perhaps, but from the nuisances and dangers we are most likely to encounter. Window curtains, for instance, protect us from ultraviolet rays and Peeping Toms, while light fixtures prevent us from tripping over things in the dark. Lewis Koch uses photography, found images, maps and text to engage in a critical response to contemporary life and politics. This installation bore witness to a World War II bomber crash site above tree-line in Wyoming's Cloud Peak Wilderness, a remote area that Koch describes as "almost inconceivably stark and humbling." 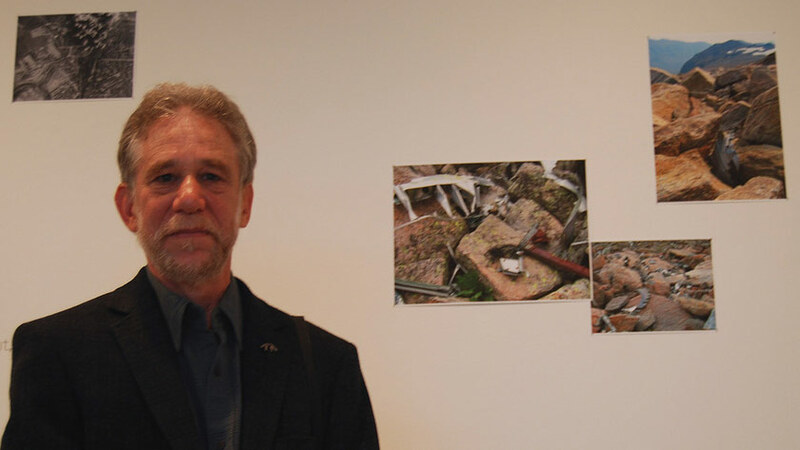 Linking his own photographs of the site with images from documentary films, details of period maps, and poetry, Bomber, a chance unwinding was a meditation and a metaphor for war, human casualties, and environmental destruction. In reflecting upon these separate but inextricably linked tragedies--the deaths of the soldiers whose B-17 crashed on Bomber Mountain, and the immense casualties and environmental impact in Europe and the Pacific, where these bombers were deployed--Koch's work speaks to both sides of the conflict and, by extension, to anyone touched by war and its aftermath. At a time of increasingly narrow and shrill public discourse, his work invites viewers to participate in a dialogue of substance. Klassen is a Milwaukee-based artist who makes works that explore themes related to safety, banality, and interconnectedness. Drawing upon aspects of photography, sculpture, assemblage, and text, Lewis Koch calls attention to the often unremarked elements of everyday life.